A new study recently published in Health Services Research tracked private insurance information from nearly 150,000 patients for 1 year after an initial visit for low back pain. 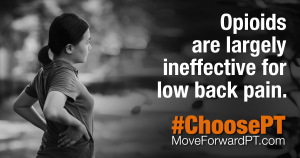 Researchers found that patients who had low back pain (LBP) who received physical therapy first in their episode of care prior to other tests and specialists experienced lower out of pocket expenses, less pharmacy costs, and less likely to receive an opioid prescription by 87% compared to those who did not receive physical therapy. Unfortunately, only 8.7% of the patients were seen by a physical therapist first, and 80% of the patients never saw a PT. This is unfortunate because there is a growing body of research that supports the use of physical therapy for low back pain. Since the mid-1990’s, health care providers have employed a more pharmacological approach to managing pain rather than treating the actual causes of the pain. This strategy has resulted in a dramatic increase in opioid prescriptions as well as an increase in opioid misuse/addiction. This increase has quadrupled the number of opioid deaths in the last 15 years and over 42,000 people died in 2016 alone. Additionally, there has been an increase in heroin use due to cheaper and more attainable nature. In an effort to reverse this epidemic, a collaborative approach needs to be made by physicians, pharmacists, insurance companies, and health care systems to find alternative ways to treat pain without opioids. Physical therapists are health care professionals who specialize in evaluating and treating patients for musculoskeletal impairments that can be contributing to their pain. Based on the physical therapists’ judgments about diagnoses and prognoses, and based on each patient’s personal goals, PTs design individualized plans of care, provide appropriate interventions, conduct re-examinations, and modify treatment as necessary to optimize patient outcomes. They also work closely with other professionals in the health care system, including physicians, nutritionists, exercise specialists, and behavioral health specialists. 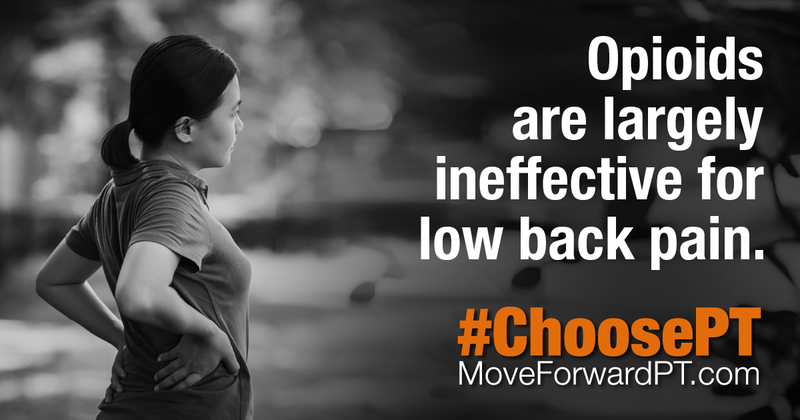 Choose physical therapy first to eliminate pain, optimize your function, and be one step closer to living pain free. The Northern Rehab Physical Therapists provide hands-on care combined with specific corrective therapeutic exercises that will correct physical impairments to allow a healthier, more active daily life. Illinois law no longer requires a physician prescription to receive physical therapy first, but certain insurance companies may still require a physician’s referral for physical therapy. The friendly staff at Northern Rehab is happy to assist patients in understanding their insurance benefits and requirements related to physical therapy. Northern Rehab Physical Therapy Specialists, voted DeKalb County’s Best Physical Therapists seven years in a row, blends the science of healing and the art of caring for fast, effective results. Their treatments help patients get back into life by restoring and promoting physical function, fitness and optimal quality of life in order to recover from injury, impairment or disease. You don’t need to live with pain. Choose Northern Rehab today, and stop letting pain control your life.